When I left South Park I went to Mayfield, but left after the first year when my family moved to Barkingside. I still have contact with Bill Cross, remembering our Scouting days with 5th Seven Kings. I am second from left in the back row. Roy Goulden, who was a year younger than the rest of the team, is at the far right of the back row. 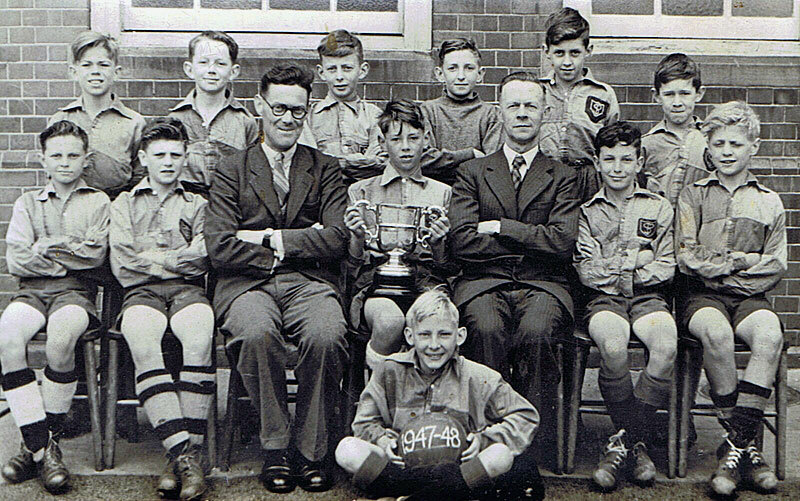 Mr. Daniels is left of the boy holding the cup and Mr. Charlton, the Headmaster, is on the right. I will have to think about the rest of the names. My home now is in Saffron Walden, but my wife and I spend the winter in Brisbane, Australia. My company was in Haverhill, Suffolk and is still going strong, but I sold out and retired in 1989. I think the lad standing next to you, Mike, on the right hand end of the back row, is Don Hollick. He went on to Beal Grammar. Mr. Daniels was my teacher in the early 60s also Mr. Shepherd, and who could forget Mrs. Edwards. I also went to Mayfield and was a member of 5th Seven Kings Scouts. Ian Dinley and Don Jacobs assisted Bill Cross who lived in my street. My first camp was in 1964 when we went to Hereford, the cost £10. Eagles was my troupe. My family emigrated to Australia in 1968. Thanks for the memories. 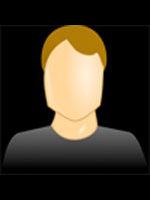 Regards Dave Worley, Sydney, Australia. Thanks for your message. You are much younger than me, I was 75 last Oct. I’m still in contact with Bill Cross and have been to a few reunions of the 5th, usually in Nov at Chelmsford. Bill Cross is the organiser. Freeman, Clark, Dinley, Smiths and I went to the reunion to meet Stringer, 90 plus, before he died 18 months ago. We spend English winters in Australia in Redcliffe, just north of Brisbane. I have a apartment overlooking Moreton Bay Boat Club. My wife is Australian and has family here. Catch up if you are this way. Thanks for the reply Mike, wow names from the past. We are on the Gold Coast at Burleigh Heads, my partner has a unit here. I have a house at Bundaberg which is far too hot headed for Sydney spend some time with her. Would be great to catch up with you on the Gold Coast when you are here. Glad to hear your Australian Routes. Like to keep in touch. Hello, this is the school business manager at South Park Primary School it would be wonderful to meet any of the young gentlemen from the photo if you are in the area. Thank you.